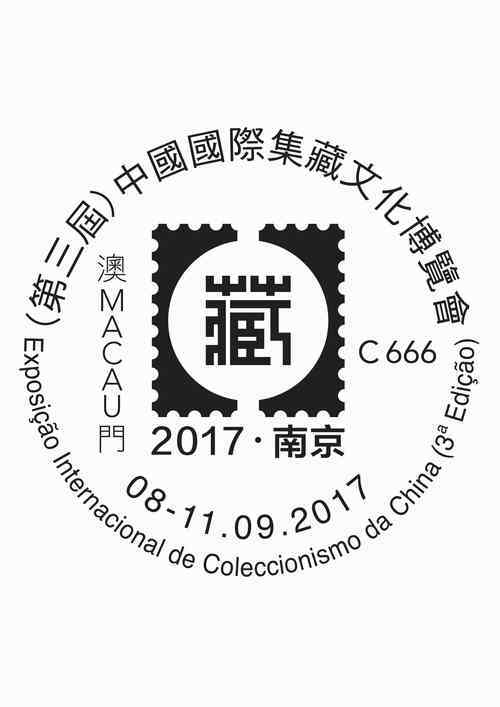 Macao Post and Telecommunications Bureau will participate the “China International Collection Expo (3rd Edition)”, located in Nanjing, China, during 8th to 11th September, 2017. 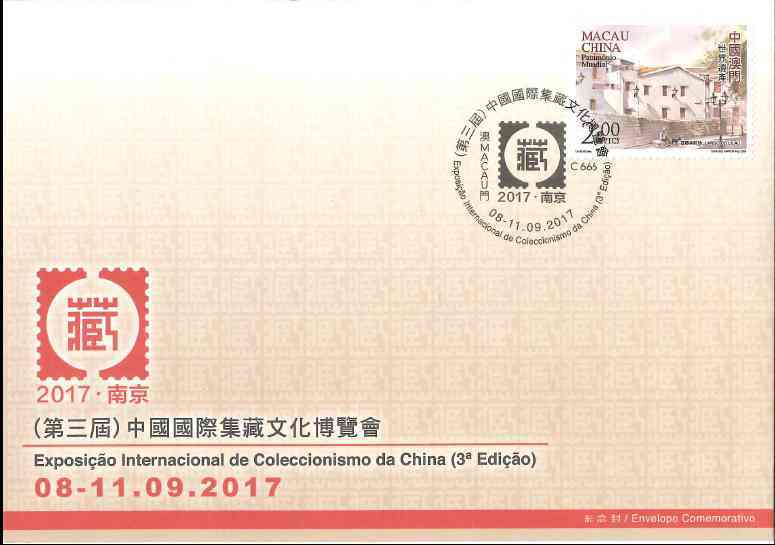 To commemorate this Exhibition, Macao Post and Telecommunications Bureau issues the commemorative envelopes and provides the commemorative postmark cancellation service on site of the exhibition. For the convenience of the philatelist, the commemorative envelope with stamp priced at MOP5.00 will also be available for sale at the Philatelic Shop of General Post Office starting from 8th September.